The crisis-ridden West Asian region already locked in violent conflict over the Islamic State, has been rocked by yet another crisis. Spearheaded by Saudi Arabia, the most wealthy and influential oil-rich country in the West Asian region, four Arab countries announced their decision to sever ties with Qatar on Monday. Qatar is a tiny fellow Arab energy-rich country which is also the richest in the world, in terms of per capita income. Qatari citizens pay no tax. Qatar also owns and funds the influential satellite channel Al-Jazeera which has scrapped with Egypt and other Arab countries over its critical and provocative media coverage of events in Arab countries. Qatar is the host country for the next FIFA World Cup and this injects another global dimension to this evolving crisis. The move is aimed at isolating Qatar, accused of supporting terrorism and covertly supporting Iran’s agenda in the region. However, Kuwait and Oman, both members of the Gulf Cooperation Council (GCC), have stayed out of this imbroglio. Taking the lead, Saudi Arabia officially blamed Qatar for embracing “various terrorist and sectarian groups aimed at destabilising the region”. Saudi Arabia is particularly worried about Iran’s alleged interference in its majority Shia Eastern Province, the main location of its oilfields. Egypt's Foreign Ministry accused Qatar of taking an “antagonist approach” and said “all attempts to stop it from supporting terrorist groups failed”. Bahrain, the small island nation, blamed Qatar's “media incitement, support for armed terrorist activities and funding linked to Iranian groups to carry out sabotage and spreading chaos in Bahrain” for the decision to sever ties. The US Navy's 5th Fleet is also based in Bahrain. This is the most serious rift that the Arab world and the six-member GCC have witnessed in recent times over allegations of Qatar’s continuing support to the 'Ikhwan ul-Muslimeen'. The Ikhwan ul-Muslimeen is known worldwide as the Muslim Brotherhood, the oldest Islamist organisation in the Arab world. Saudi Arabia and Iran have become arch regional rivals, with Saudi Arabia desperately trying to band together allies to confront Iran – the inheritor of the Persian civilisation, more populous, industrially more advanced and more powerful of the two rivals. Qatar is not on the same page as Saudi Arabia and other Sunni states with respect to Iran. This is the main irritant for Saudi Arabia and the current Egyptian government has been angry with Qatar’s support for the Muslim brotherhood. The immediate effect of this dramatic development will lead to a cut off in Qatar’s access to airspace and land routes, creating havoc with Qatari Airways long-haul flights. Some Arab airlines have announced the suspension of flights to the Qatari capital Doha. Arab countries, joining this move, have started withdrawing their diplomats from their embassies in Doha. Qatari diplomats have been ejected from their capitals. These countries have advised their citizens to leave Qatar and have given Qataris a couple of weeks to go home. Saudi Arabia also said that Qatari troops would be pulled out from the ongoing war in Yemen. Yemen's nominal government, which no longer controls its capital and large portions of the country, has also severed ties with Qatar. Surprisingly, the Maldives has also followed suit, indicating exactly how much the current government has become indebted to Saudi Arabia. The Qatari stock market has plummeted and it is a matter of time that Qatar, dependent on food imports, faces a crisis situation. With expatriates outnumbering its own 2,00,000 citizens out of a total of 1.8 million population, these expats will start asking their home countries for help as the crisis mounts. Apart from over 6,50,000 Indians in Qatar, comprising the largest expatriate group, there are fellow expatriates from many other countries. There are over 10,000 American defence personnel at the huge Al-Udeid Air Base, the forward station housing the headquarters of the American military's Central Command (CENTCOM). Predictably, Qatar has reacted with indignation, calling the move one without any “legitimate justification”. Qatar’s Foreign Ministry has vowed to protect the country’s interests. “The Qatari Government will take all necessary measures to ensure this and to thwart attempts to influence and harm the Qatari society and economy,” it said. The USA has tried to play down the crisis and has called for talks to resolve differences. This crisis can severely damage American interests with these countries, all allied to the USA in some way or the other. President Donald Trump's recent visit to Saudi Arabia sealed the anti-Iran front in return for Saudi largesse. Qatar has remained defiant and has refused to be cowed down by Saudi pressure. Qatar’s Emir, Tamim bin Hamad Al Thani, telephoned Iranian President Rouhani to congratulate him on his electoral victory, much against with wishes of Saudi Arabia. Significantly, Qatar shares a massive offshore gas field with Iran in the Persian Gulf. 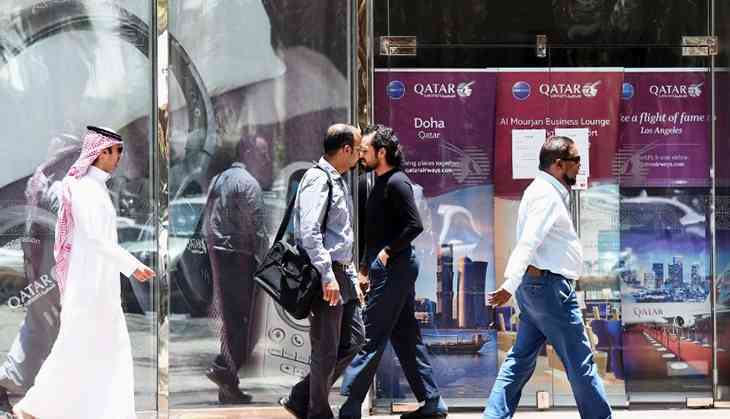 In late May this year, Qatar had alleged a cyber attack on its national news agency wherein hackers posted comments allegedly made by Qatar’s Emir on Iran and Israel. While Qatar called it fake news, its Gulf neighbours reacted with angry rebuttals. Qatar has been the odd man out among the Gulf countries. Its support of the Muslim Brotherhood has long rankled Saudi Arabia and the UAE because the Islamist group has challenged the hereditary rule in these countries. Qatar has gone against the GCC consensus by backing the Muhammad Morsi government of the brotherhood in Egypt. This led to the ambassadors being recalled from Doha for over 8 months. Though Qatar has repeatedly denied that it funds extremist groups, it has remained the leading financier of Hamas, the Palestinian Islamist group that controls the Gaza strip. Hamas remains at loggerheads with the mainstream Palestinian government led by Mahmoud Abbas, based on the West Bank town of Ramallah. Qatar has also been accused of supporting the Sunni Al Nusra front in Syria, an Al Qaida-affiliate. India’s External Affairs Minister Sushma Swaraj said that there is no immediate challenge since the development is an internal matter for the GCC. However, she said that India will keep monitoring the situation to ascertain if any Indian is in difficulty. India and Qatar share strong ties, spanning economic, energy and defence sectors, with a total trade turnover touching $16 billion. The bulk of this amount represents India’s import of energy, mainly gas. Major Indian companies are executing contracts in Qatar in the infrastructure sector, including railways. It is unlikely that the LNG gas supply from Qatar, which has the world’s third largest gas reserve, will be affected. Indian PSU, Petronet LNG, imports around 8.5 million tonnes of LNG from Qatar. If the LNG supply from Qatar is interrupted it will cause a massive upheaval in India’s domestic energy market. India is unlikely to take sides given its friendly relations with Saudi Arabia and other GCC countries. Qatar will host the 2022 FIFA World Cup and has been on an infrastructure building spree. The accusation of human rights violations of expatriate workers has continuously blackened its record. Unfit living conditions, harsh working sites, seizure of passports and immigration hurdles have created tensions with many countries, including India. There is growing speculation that a covert regime change attempt is afoot with the backing of Saudi Arabia and its Arab and Western allies. The murky politics of the Arab world has flourished under undemocratic and authoritarian regimes. The myth of Arab unity is exposed time and again. The current crisis is yet another manifestation of this myth and dark underbelly of undemocratic rule in these Arab countries. The author is a Distinguished Fellow, Observer Research Foundation, Delhi. 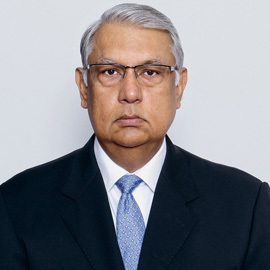 He is also the Former Secretary, MEA and a former Ambassador.